You’ve just sent your last email and closed your computer for the day. You put your earbuds in to get pumped up for the gym, and you hit the locker room only to realize you’ve forgotten your socks… or even worse, your sports bra. Forgetting crucial items for your workout is a serious buzzkill and can knock you off track for the day. Workout clothes + sneakers: don’t forget socks! Tuck them into your sneakers so you have easy access. Earphones: I usually keep one pair at my desk and one in my bag just in case. Hairbrush + hair elastics – I keep a pouch with extra hair elastics in my bag at all times. Dry shampoo: perfect for the midday workout if you don’t have time to shower – Dove is my brand of choice. Basic makeup items: concealer, powder, and mascara – bring only the essentials with you. 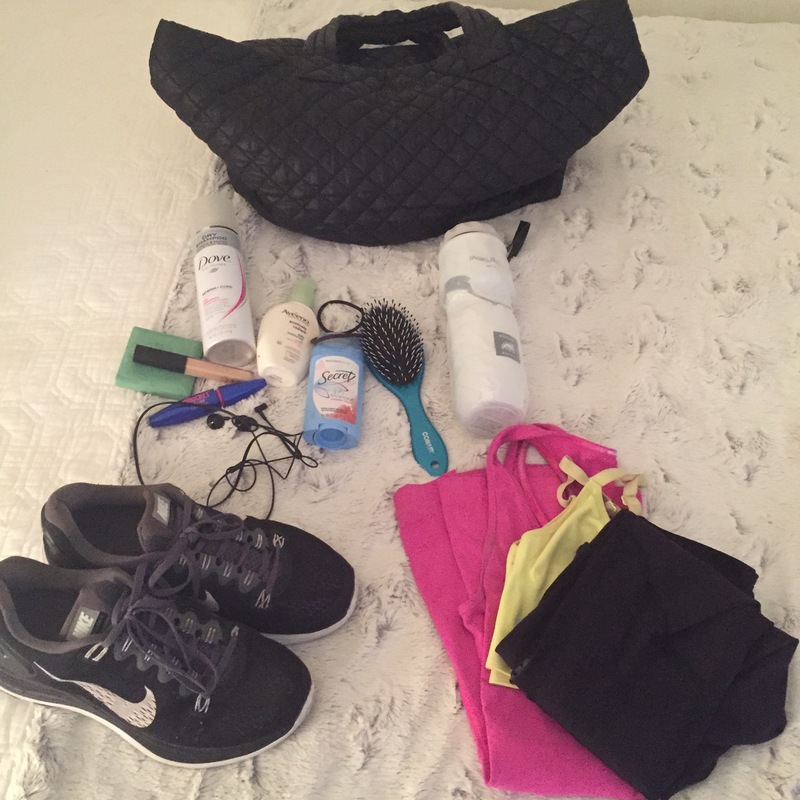 I tend to keep most of the items in my bag at all times – this way, I only have to pack clean workout clothes, and I’m ready for my next workout. Good luck!